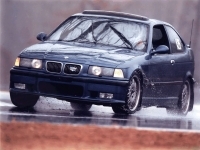 There is never enough coverage of our beloved E36 ti in any automotive magazine. I took a stab at writing an article and it was printed in BMW CCA's April 2012 Roundel Magazine. I guess I should read the thing. Last edited by 1996 328ti; 04-04-2012 at 09:02 PM. great car, congrats on the feature! Awesome, can't wait for my issue! What a great issue of Roundel, M Coupe and ti love! This showing my lack of tech savy, but can anyone tell me how to save a single article from the roundel or any online magazine in the form of a PDF? The way 1996_328ti did above with the article on Stan's car. Great article, Stan, and Satch's edits are not obvious to me. I've been a CCA member since 1990, but just bought my ti this August and I had missed your article. 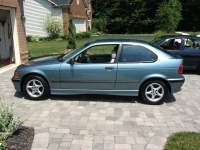 I'll try and "ride" on it and sent Roundel a letter & see if I can get another 318ti.org plug in there. 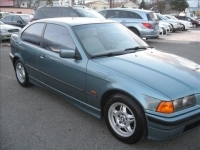 Ironically, we tested a ti in 1996 when it was new car time, but bought a 328is instead because the 4-door was a requirement. Now I've got a nice Boston Green (photos to follow) and it is about the same fun level as my tii was years ago, and time for some gentle mod's. Nice article! I'm by no means an expert in cars. In fact, I wouldn't the first thing about servicing a car, however I bought my first car a few months ago. From the first time I test drove it, I was in love with it. A shining black, 2002 model 318ti. All black leather interior, the back seat leather was still in original condition, and the front in very respectable condition. The ODO read 150,000km, a reasonable distance driven for a 10 year old car, and it's previous owner had that same passion for the car in which I have recently been instilled with. He was quite emotional letting it go, but seeing as though he 'upgraded' to a late model Peugeot, he couldnt justify keeping the Beemer. It wasn't, though, in perfect condition. A few cosmetic issues needed attending to. First and most obvious was the front badge. Like a knight without it's armour, the car's badge has been mostly scratched off, leaving a silver circle with the feint engraving of BMW remaining. That, along with a rear window which needed re-tinting, wiper jets that didnt work, a power window switch that was broken, and very poor and rusted looking bolts holding the wheels on, I managed to negotiate the car down to (what I thought) was a bargain price. After the papers were signed over, and the keys handed to me, I assured the seller I would take care of it, and I drove off. With my brother in the passengers seat, my first drive was a scary one. Not wanting to do anything to harm my new investment, I drove home as if I was my 80 year old grandfather. Now I have fixed some of the pressing issues that came with the car, I have gained my confidence and have started to allow myself to truly appreciate the joy of driving such a special car. Great article and your car is SWEEEEEET!! !